Option of bubble or straight leg. 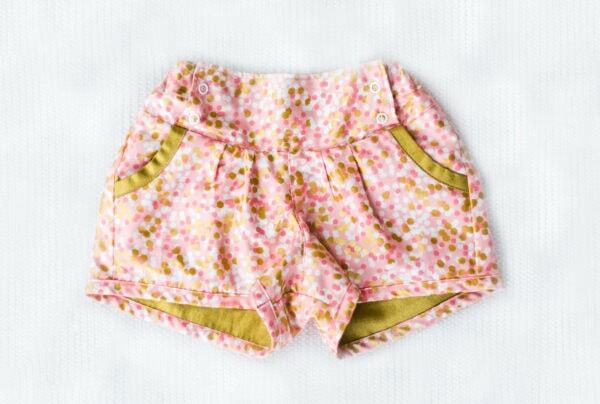 The simply lovely Berry Bubble Shorts for babies, girls, and boys are beautifully finished! 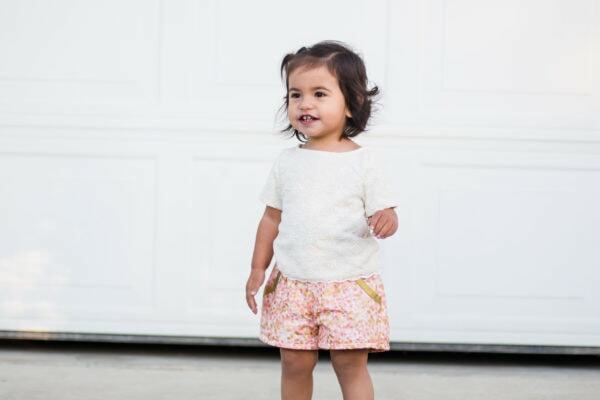 This childs bubble shorts pattern is fully lined and has no raw edges showing, which results in a truly boutique professional finish. Quite simply adorabubble! A super cute look through fall, winter and spring over tights, or just on their own in summer! 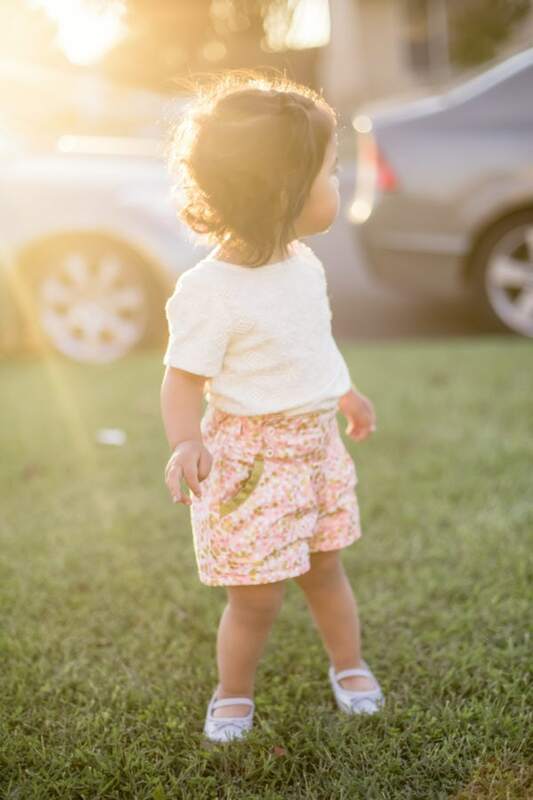 These shorts have pleats in both the front and back, and an option to use either regular or buttonhole elastic for an adjustable fit across the back, they can also grow with your child. 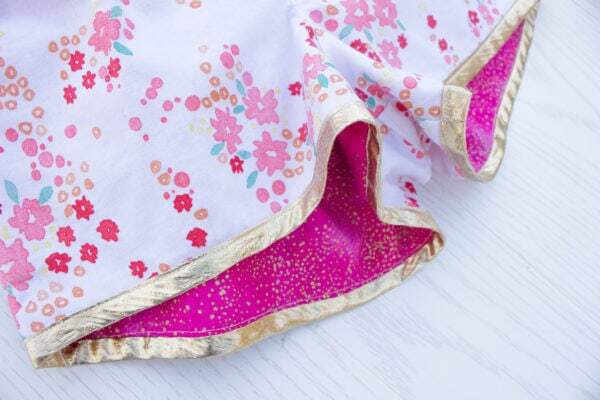 You can also use light or medium weight fabrics so they really are all-weather. Options – Buttonhole or regular elastic. Bubble or straight leg. Its not a quick sew but its worth the time you put into it. This pattern is well written, has step-by-step photo instructions and is very easy to follow. DO IT! These are perfect for the summer, and can easily work over leggings/tights for the cooler months! Do it! They are so much fun to make with such a rewarding result! 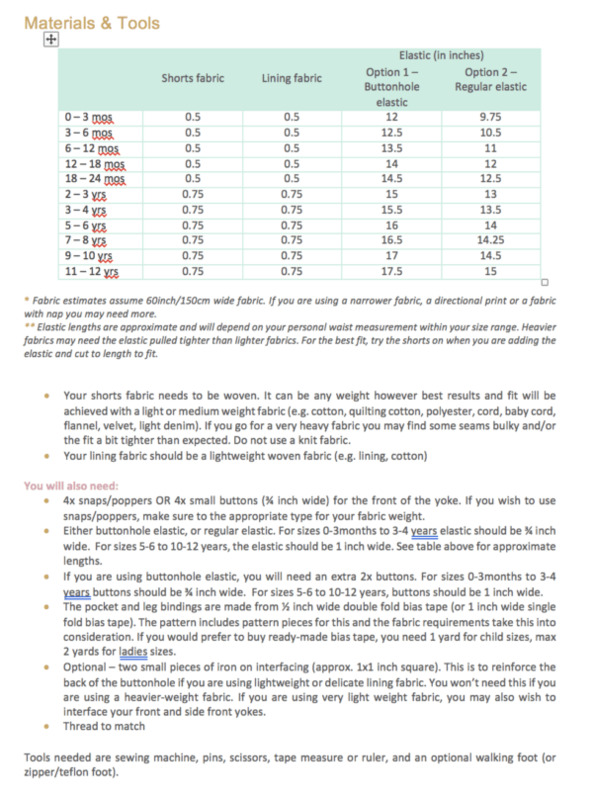 I would tell them that it is a great pattern for those without a serger too! Super cute shorts. Lots of steps but broken down into manageable steps so that you can do them well, and so you can take a break and come back again and continue on. Very versatile and fashion forward. This is a beautiful pattern, so worth the time and effort it takes to get this done. You will love the pattern. This is such a cute shorts pattern! The pockets are perfect for hiding little treasures. This is a great pattern to add to your collection. Do it! Go slowly and it will all come together. Don’t be intimidated by how many pieces there are. TOTALLY worth it. Best bubble short pattern available. The unique waist feature is nice. Make them in every color! So worth it! Get it immediately, you won’t regret it. This is a great pattern to have. It can be dressed up or down and there are so many ways to accessorize and wear them. I found the written instructions to be very clear and concise. Go for it!! You will not be dissapointed! The best out there and the details are just amazing. Love the lining, love the buttons, love the pocket binding, it’s just amazing. This pattern has a clean and professional finish (all lined). Unique style for your little girl. It’s time consuming but gorgeous result! Run and get it! Use different leg options and different to create a whole summer worth of amazing shorts. The final result is worth it! I would just gush about why not to buy it!!! 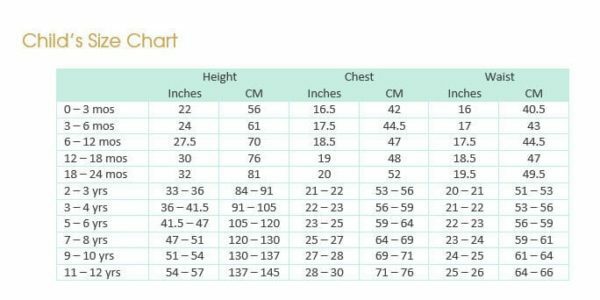 If you wanted a beautifully constructed garment, that has technical bits and has a bit of a challenge to then this is for them. There is no chance of failing with this pattern as the instructions are just beautifully worded and the addition of images helps immensely. 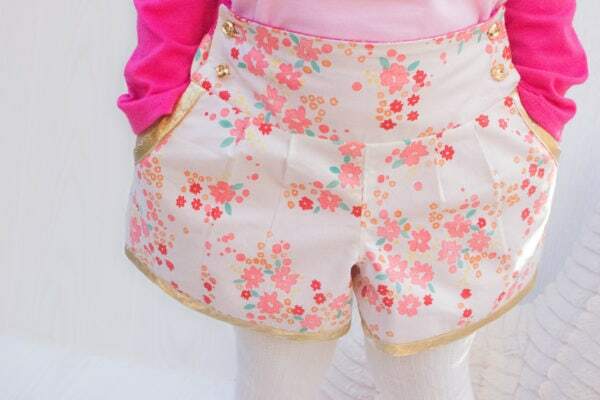 There are a lot of shorts patterns out there but I feel Rebecca’s patterns are starting to stand out from the crowd due to her including more technical sewing in her pdf’s but making sure they are not out of reach for a novice to attempt. I love the way everything is enclosed and lined. Nothing is more classier than pleats and binding on shorts and I think Rebecca has got a true star of a pattern on her hands!! Love, love, love it!!! A bit of work, but the finished product is worth the effort, they’re fabulous! This is a super cute pattern with professional results. You will absolutely LOVE the finished product. The sewing process is more complicated than a simple shirt and takes time, but you will enjoy it! It’s a great little pattern. They are super cute and easy to make. Super cute pattern that’s a dream to sew up! Perfect for hot summer days! Berry bubble is a stylish short which packed with various options. Love it!